This article originally appeared in Uttori Life Magazine which can be found here. Creating a full holiday meal can be quite the ordeal. Take some of the work out with these two easy to make side dishes. Bonus, they’re vegan! Spray a nonstick baking sheet or piece of parchment paper with cooking oil. Place brown sugar and vegan butter in a small saucepan and cook over medium heat, stirring continuously until the sugar and butter are dissolved. 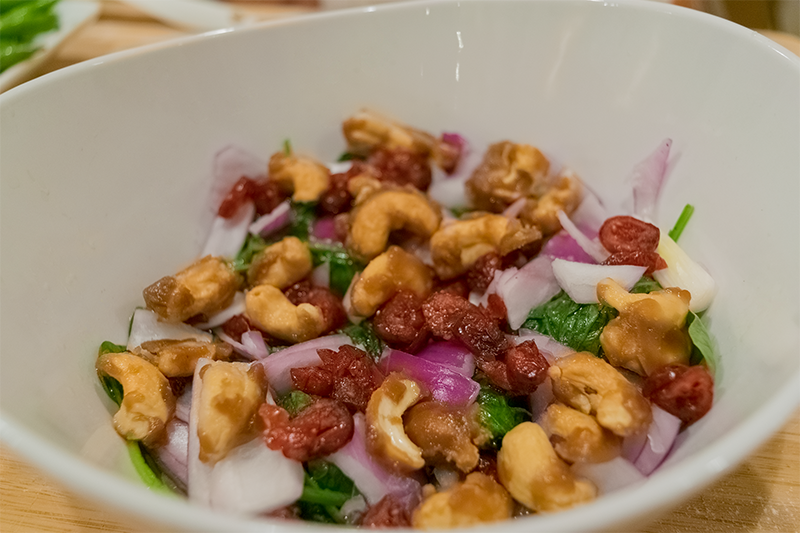 Add the cashews and continue stirring to coat the nuts. Once the nuts are well-coated, pour the mixture onto the baking sheet in a single layer. Let cool. Dice the red onion and set aside. In a large skillet, heat the olive oil over medium heat. Add the spinach and season with salt and pepper. Cook approximately 3 to 5 minutes, until the spinach has wilted. Be sure to stir the spinach so no part gets cooked more than the rest. Add the lemon juice, red onion, and dried cranberries. Stir for a few minutes to incorporate. Transfer to a serving bowl and top with the candied pecans. Serve with dressing of choice. 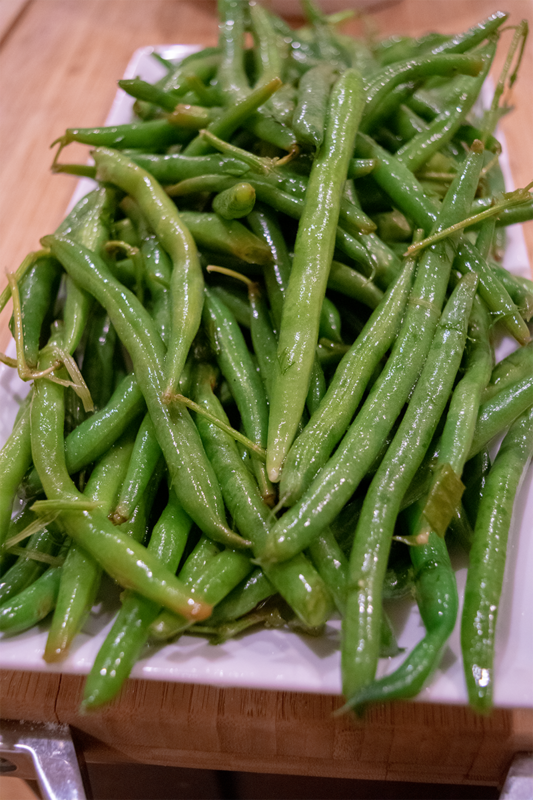 Steam the green beans until tender but still crisp, about 6 minutes. Rinse under cold water and set aside. In a small bowl, mix green onions, vinegar, dill weed, honey, salt, pepper, and olive oil. Pour the mixture into a Ziploc and add the green beans. Refrigerate at least 4 hours before serving.